My little site was hacked Sunday night, meaning I wasn’t able to get up my Meatless Monday post – but, luckily we have meatless Tuesday. I’m not sure why they attack my site, but they have often. It’s a bit of an annoyance, especially when you’re planning posts. GoGo Quinoa offers lots of different produce under the headings: Grains, Cookies, Pastas, Breakfasts, Quick to Prepare Meals and Soups. Each category has a large variety of products and ingredients to suit your needs. I have since spotted GoGo Quinoa products at the Canadian Superstore, HomeSense as well as London Drugs. I picked up their Cocoa Quinoa Puffed Cereal and made some Quinoa Rice Crispy Squares. They were so delicious, I tweeted to the company and then made another recipe from their website for Quinoa Coconut Bars – which were equally delicious. I then e-mailed them asking if I could have some of their products to review and make recipes with. To my delight they happily sent me lots of goodies to try! 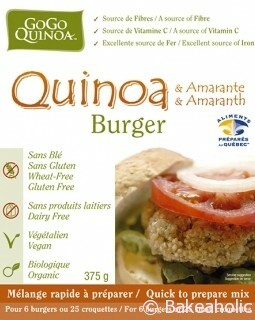 I was intrigued when I saw there were Quinoa Burgers in the package that arrived. They looked good – and I couldn’t wait to try them. One day when I was home in the snow a couple weeks ago I decided I needed a quick lunch. I remembered I had these burgers in the cupboard and got to work. The mix makes enough for 6 burgers, however it was just me so I took about 2/3 cup of the mix and added just enough water until the mix came together. I let it sit for a few minutes then shaped them into small patties. However, they are very filling and one little patty would have been good for me. 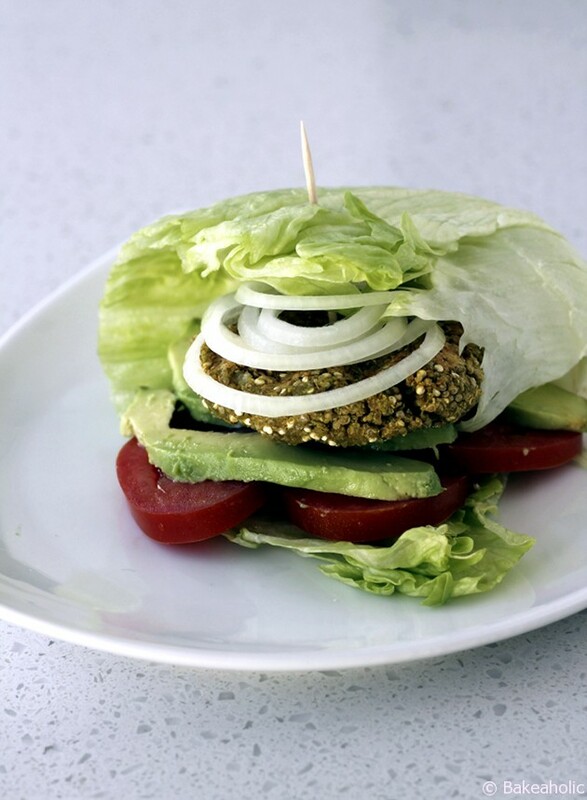 To keep it wheat/gluten free I used lettuce wraps instead of a bun as I do for regular burgers. 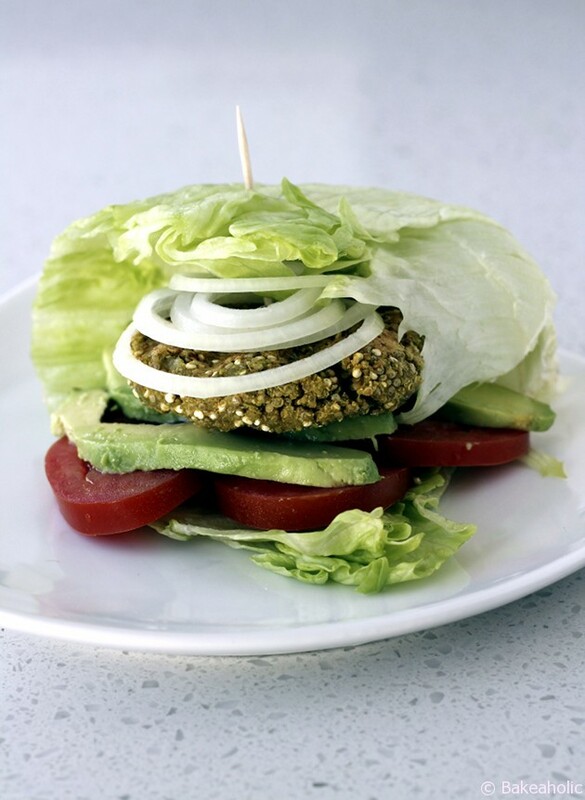 You can top it with any additions you like such as tomatoes, avocado, onion, pickles, mushrooms etc. And of course, ketchup and mustard. 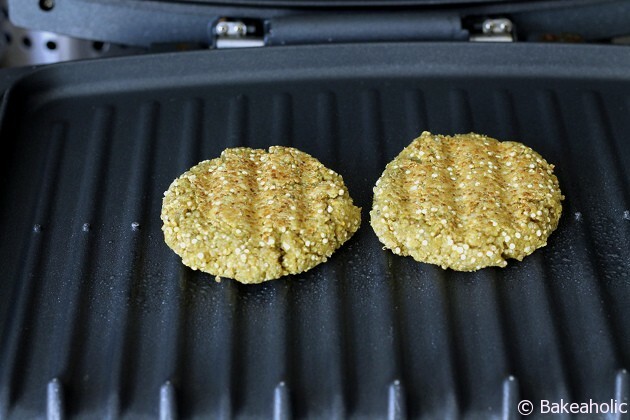 The instructions say to sauté them in oil in a pan, however I used my George Foreman grill – which worked like a charm. Crunchy exterior and warm, soft exterior. Almost like a falafel. The seasonings are delicious too. 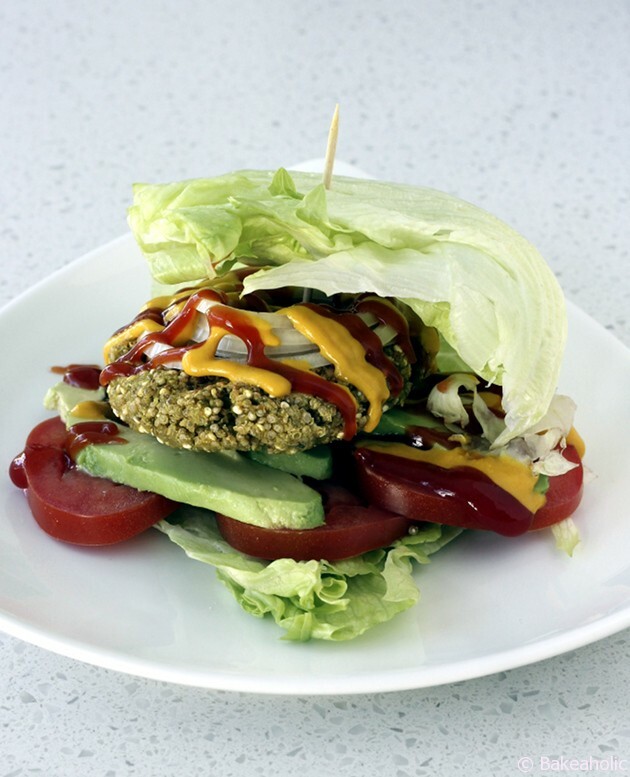 I was also super impressed at how well the burgers stuck together – not crumbly at all! The mix is great for a quick lunch or dinner – something I would definitely buy again. 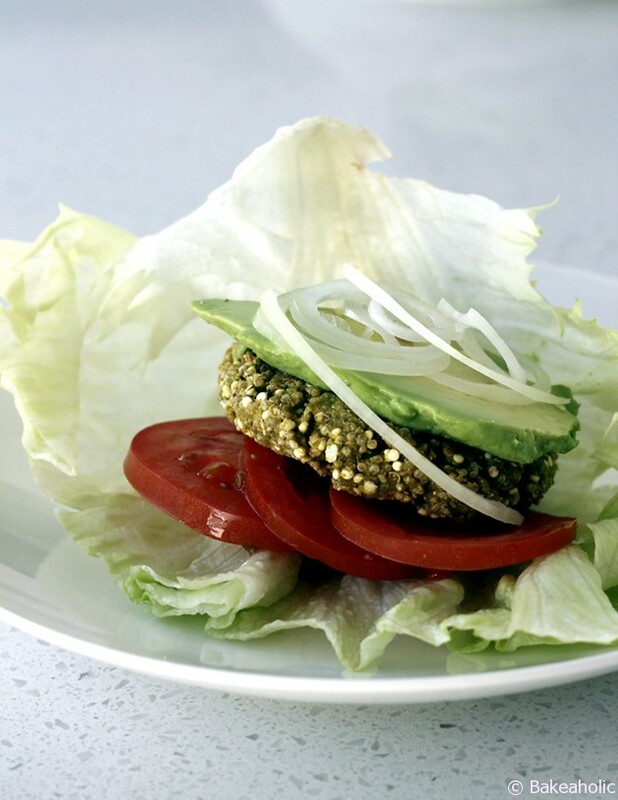 *GoGo Quinoa did not sponsor this post – I just really like their products! Thoughts and opinions are my own.